I didn’t get a chance to participate in this week’s Five Minute Friday where you are given a word and you write for five minutes; however, I’m thinking my posts from this week would fit into this week’s word … Reflect. Reflection is a good thing. Especially in the midst of trouble. Reflecting on what God has done for us will lift your spirits and help you continue to take the next step forward. Reflecting on the faithfulness of God is amazing. Many times THAT is what brings me through. The best verse I know to reflect upon in times of stress is found in Lamentations 3:21-25. I’ve been memorizing it, so I’ll give it a whirl by memory here…. Well not too bad, but I guess I need to keep working on that. I did do a lot of reflecting this week though…. On Monday, I was honored to be a guest writer over at Blessed but Stressed where I wrote a tribute to my daughter, Mikaela who has been an awesome caregiver to me during the past four years (her high school years). 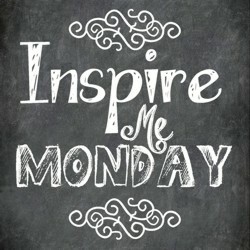 If you missed it, you can read it at this link to Anita Ojeda’s INSPIRE ME MONDAY PAGE at Blessed but Stressed. Then for my Throw Back Thursday entry at Raised in a Barn. I reminisced about Christmas Cookie Baking Day. It’s one of the traditions that I have tried my best to continue in my family, even though there is not nearly the need for cookies at our house. Also, I’ve been sharing recipes for favorite farm recipes all month, so You may want to check that out on my recipe page.